This year my quilt guild is doing community service projects for Citizen Sam as well as the local hospitals in our area. To help get us inspired for these projects, one of our guild members offered her orphan blocks and UFOs to others. She said if someone would put the tops together she would quilt them. 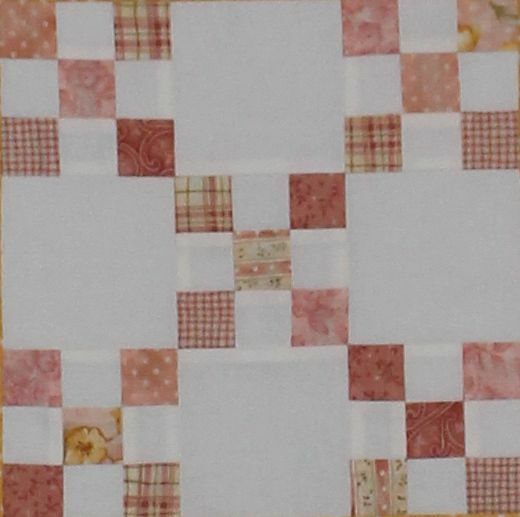 So I took her 12 white/pink nine patch blocks plus the leftover scraps and told her I would come up with something. She told us we could do what ever we wanted and that we would probably have to add our own fabrics to get a completed top. I ended up adding a muted yellow star fabric that matched the flowers in one of the pink fabrics and made the blocks bigger. Then I used her pink leftovers to make a scrappy border. Here is what I ended up with. It has already been given back and I can't wait to see how she quilts it. 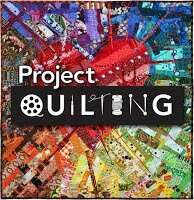 I am excited to help out for these projects and by sharing the work, my guild will be able to get many quilts made for our community this year. That looks amazing! Nice work! And for a good cause too.